Maria Ja Taung, a displaced ethnic Kachin who has been living at St. Paul's Ja Mai Kaung camp for internally displaced people (IDPs) since 2011, says life is a constant struggle but the religious activity that forms the backbone of the camp is keeping her spirits buoyed as residents fear for their future. St. Paul's is run by Karuna, a local branch of the Catholic charity Caritas, and is located close to the Kachin State capital of Myitkyina. Ja Taung's children receive school tuition through the week and attend catechism classes there every Sunday, among other Church-led activities. Catechists from Myitkyina also make regular visits to the camp to give Bible readings, teach gospel songs and encourage the children to express themselves through art, added the widow and mother of seven. In October, some of the children will be taken to the capital to attend a Bible competition, she said. "I feel like we've been given another chance to join in church activities, attend regular Masses, and ensure our kids further their religious studies," she told ucanews.com. Ja Taung said she is too busy making ends meet to shoulder this burden as she works the fields from dawn till dusk, rears pigs and cooks all of the family's meals. The family receives a monthly stipend of 11,000 Kyats (US$7.50) from the World Food Programme (WFP) to cover their basic food needs. She builds on this by raising pigs with the support of a local branch of Caritas, she said. "You can imagine what a struggle it is trying to provide for seven kids in a place like this," she said. Ja Taung fled Gadayan village near Laiza district, where the headquarters of the Kachin Independence Army (KIA) is based, when the conflict with security forces intensified in June 2011. By June 2017, the renewed fighting had forced over 100,000 people into IDP camps in Kachin and neighboring Shan State. The KIA is the military wing of the Kachin Independence Organization (KIO), a political coalition of six tribes of ethnic Kachin in northern Myanmar. Most of the KIA identify as Christian. With peace elusive, however, there is little prospect of Ja Taung returning home in the foreseeable future as the military has accused Kachin civilians of supplying the rebel KIA with provisions. This makes the religious and secular education of her children in the camps all the more important, Ja Taung said. Roi Ja, another IDP who fled her village in 2012, said she recites the rosary every night to her three children during family prayers, as camp members do what they can to plug the gap in religious education. "I try to teach my children at home about how to say prayers properly and how to say thanks to God," she said, adding things were looking up. "Now we can attend Mass and I can help with their Bible studies after they have been given a basic grounding," the ethnic Kachin said. She said local priests can only reach her village twice a year, and they spent most of their time doing farming work. 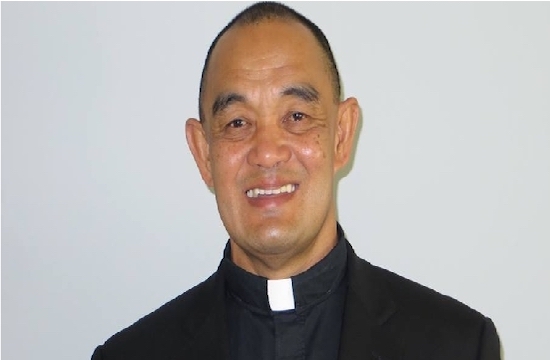 "At least here we get a chance to keep our faith and nurture our kids as they receive instruction about the Catholic faith," said Roi Ja, who helps manage the camp. That being said, she acknowledged how staying there long-term could jeopardize her kids' future by dampening their financial prospects and leaving them with invisible scars. "People can get too dependent [on handouts] and suffer from psychological problems as a result of staying in the camps for several years," she said. Some 200 children including 72 newborns are among the 400 IDPs who now reside at the makeshift camp. Half of the IDPs in Kachin and Shan are children. Peter Nawng Lat and his family have taken refuge at another church-run IDP camp in Kutkai, in northern Shan, since December 2012. All 130 IDPs living there are Catholics save one family of Baptists. Nawng Lat oversees the camp's operations while his wife teaches at a government-run school. This leaves them scant time to teach their children about catechism, making the church activities there a godsend, he said. As the camp is located on church grounds, the children there can attend catechism class every morning, rub shoulders with priests and nuns, and get some formal education. "My children can recite prayers in Burmese and Kachin. Now they routinely pray before eating and sleeping," Nawng Lat, a 40-year-old ethnic Kachin, told ucanews.com. He said his family and other IDPs plan to relocate to a new resettlement area halfway between their village and the town of Kutkai early next year. "There hasn't been much fighting in our village yet but several armed groups — Kachin, Palaung, Shan — have a strong presence so security remains a huge barrier for us in deciding to go home," he said. The resettlement area will force them to start rebuilding from scratch in many ways, as there are no priests, nuns or churches there. "We will be the first group of Catholics there, living among Baptists and Buddhists," Nawng Lat said. 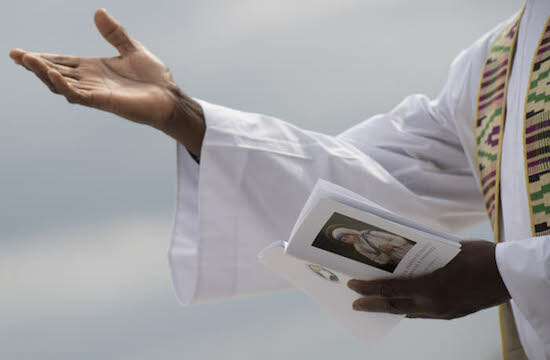 "Even surviving on a day-to-day basis is a struggle right now, let alone trying to organize a formal education for my children or catechism classes," he said. "But we are hoping for the best." Despite his busy schedule, he still makes time to show his children pictures and videos of Pope Francis. "One of my daughters wants to be a doctor and the other a nun, but my two-year-old boy now wants to become the pope," he said with a chuckle.